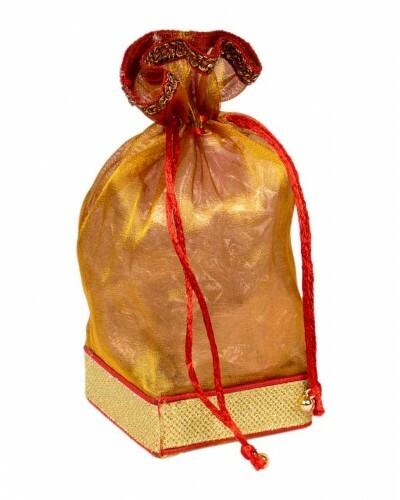 Product is made of wooden basket base & with tissue material. It can be used for gifting in religious & wedding functions. The basket is made of wood and is decorated using fabric of the tissue material. There is also a knot at the top to secure the items held inside. This can be used during religious or wedding functions for gifting purpose.